This 14-story apartment building at 241 West 97th Street was erected in 1921 and designed by Schwarz & Gross, one of the city's most active residential architects of the early part of the 20th Century. The building was converted to residential condominiums in 2007 and has 167 units. 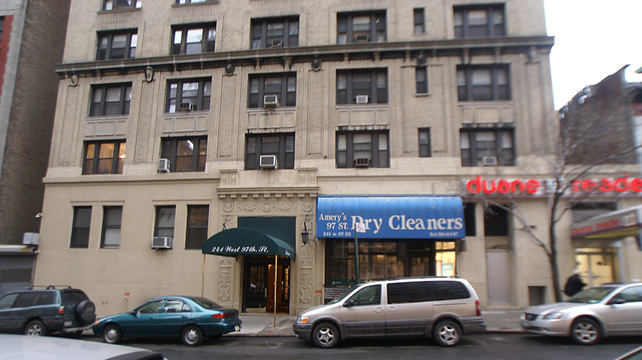 It is known as The Sabrina and is also known as 240 West 98th Street. It has a doorman and a canopied entrance flanked by a decorative surround and lighting sconces. The building has some duplex units and many units have vaulted ceilings and arched hallway entrances and servant's rooms. It permits protruding air-conditioners and has a one-story limestone baseand bandcourses above the third and 12th floors. It has no garage, no balcoies and no sidewalk landscaping. The building is close to an express subway station at 96th Street and one block south of two new residential skyscrapers erected by Extell Development. 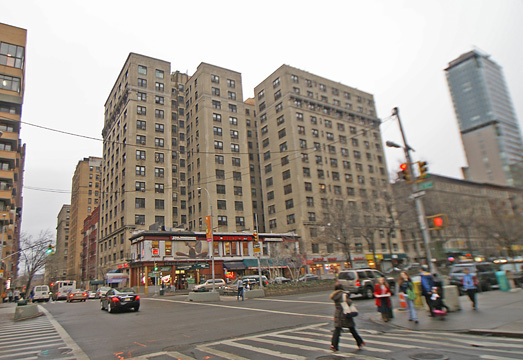 It is convenient to the entrance to the West Side Highway and Riverside Park. Schwartz & Gross also designed the Colosseum, Strathmore and Paterno apartment buildings on Riverside Drive, 500, 600, 700 West End Avenue, 885, 910, 911, 930, 941, 970, 983, 1045, 1070, 1085, 1111 and 1185 Park Avenue, 55 and 241 Central Park West and the Mark Hotel.